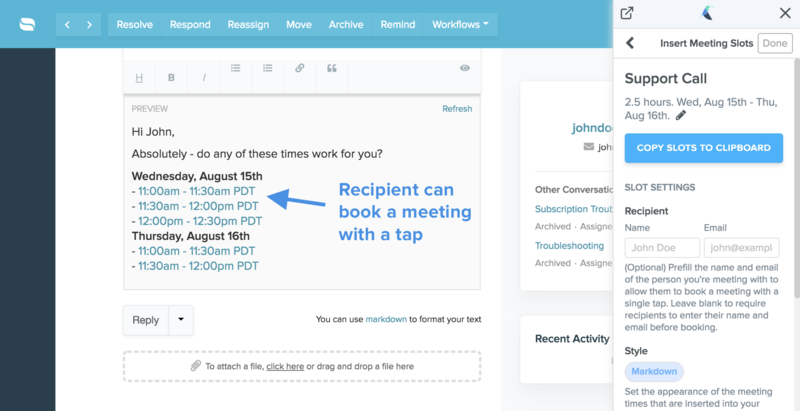 Insert potential meeting times directly into an email, allowing a recipient to book with a single click. 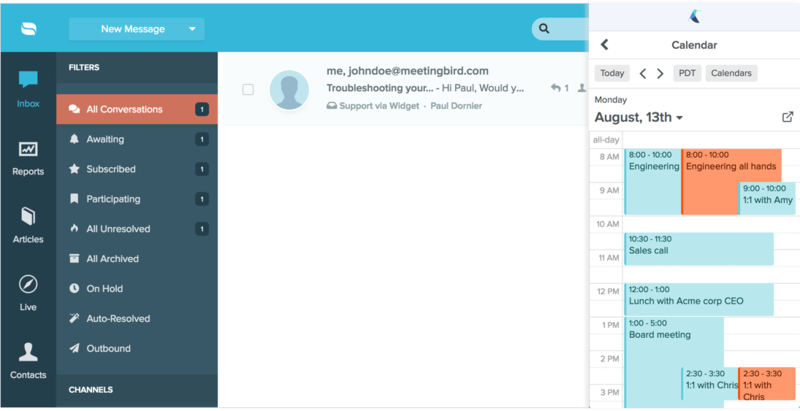 Meetingbird automatically handles timezones, double booking prevention, and more. View your calendar and schedule meetings right from your Reamaze inbox. 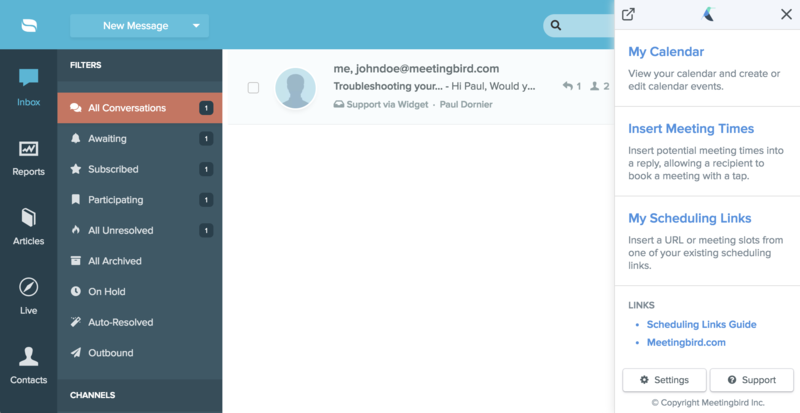 Turn emails into meetings in seconds. Not sure yet? 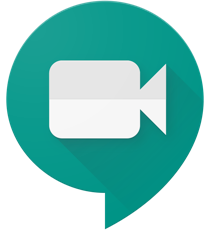 Book a demo or chat with us about any questions you have.